Advanced Micro Devices (AMD) stock is up Wednesday following company quarterly earnings reported after the bell Tuesday evening. AMD reported earnings per share of $0.08, in-line with expectations. Revenue rose 4.9% ro $1.42 billion, but fell short of the $1.45 billion expectation on Wall Street. AMD reported disappointing downside guidance for Q1, with expected revenues of $1.20-1.30 billion falling short of the $1.47 billion estimates. The decline is credited to lower graphics card and memory sales, as well as a decline in blockchain driven revenue. Analysts noted the company’s fiscal year 2019 projections imply a high single-digit growth rate. Shares of AMD stock fell more than 12% earlier this week when peer chipmaker Nvidia (NVDA) cut revenue guidance, sending shares of NVDA stock down 17% Monday and draging down semiconductors as a whole. AMD stock is trading at $22.32 as of 1:32 PM on Wednesday, Jan 30, a rise of $3.07, or 15.95% from the previous closing price of $19.25. The AMD stock has traded between $21.37 and $22.49 so far today. Volume today is elevated. So far 144,290,368 shares have traded compared to average volume of 102,308,190 shares. 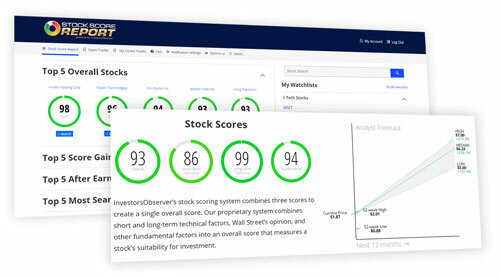 Stock Score Report, InvestorsObserver’s proprietary scoring system gives AMD stock a score of 68 out of a possible 100. That score is based on three component scores. A fundamental score of 45, a long-term technical score of 62 and a short-term technical score of 97. 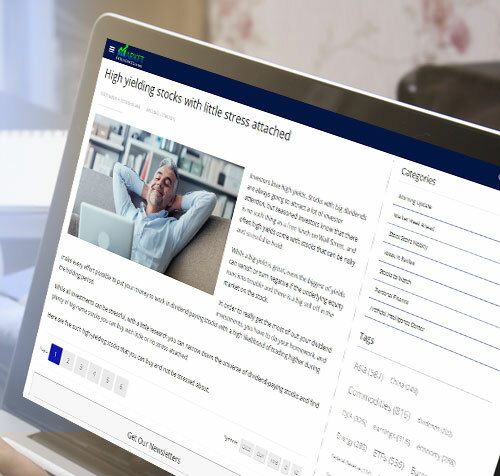 A high short-term technical score signals recent strength in the stock. AMD stock holds an analyst average recommendation of Moderate Buy, with a median target price of $28.12, which is 26.3% higher than the stock’s current trading price. Meanwhile, the major indices are higher. The NASDAQ has risen 1.29% to 7,118.95. The Dow Jones Industrial Average has risen 1.18% to 24,869.35. The S&P 500 is higher by 0.9% to 2,663.63.